The Green Bay Phoenix women’s basketball team secured its 20th-consecutive regular-season conference championship at the Kress Center on Friday night, knocking off Oakland 78-48. The Phoenix had already clinched a share of the title with Monday’s win over UIC, then Green Bay (25-3, 15-2 HL) won the title outright against the Golden Grizzlies. Senior guard Allie LeClaire scored 13-points to move into the top 10 on Green Bay’s all-time scoring list. LeClaire has 1,393 points in her career. Green Bay led 22-13 after the first quarter and 40-22 at halftime. Senior forward Jessica Lindstrom scored a game-high 16 points and 12 rebounds, her 15th double-double of the season and 38th of her career. It is the 17th time in the unrivaled streak that Green Bay has secured the championship outright. Green Bay wraps up the regular season on Sunday when the Phoenix welcomes Detroit Mercy to the Kress Center for a 1 p.m. Senior Day and Parents’ Day. The Phoenix will be the number 1 seed at the Horizon League Tournament in Detroit, Michigan, with its first action coming in the Quarterfinals on March 3. In Milwaukee, the Panther women doubled up Detroit 90-45. The 45 point victory margin is the third largest in school history. The Green Bay Phoenix hit a program-record 15 3-pointers and finished the game on a 14-3 run in a 96-90 win over Oakland in Horizon League play on Thursday night in Rochester, Michigan. The Phoenix (11-19, 6-11 HL), got a career-high 36 points and 11 rebounds from Sandy Cohen III. Cohen had 24 points in the second half alone. The redshirt junior enjoyed the best game of his collegiate career, registering his fourth double-double. He finished a career-high 4-for-6 from beyond the arc and hit 12 of his 13 free throw attempts. Khalil Small added 20 points and pulled down eight rebounds. It’s the 11th 20-plus point scoring effort for Small, who ranks second in the Horizon League in scoring. Small also moved into 14th all-time in scoring in Green Bay program history, passing both Troy Cotton (2006-10) and Ben Berlowski (1992-96). Green Bay closes out the regular season at Detroit on Saturday afternoon. The Milwaukee Panthers got 23 points and 15 rebounds from Bryce Nze to knock off Detroit 72-49 in Detroit. The Panthers improved to 15-15 overall and 8-9 in Horizon League play. The Panthers close out the regular season at Oakland on Sunday. Both Milwaukee and Green Bay fell just short in Horizon League upset bids on Thursday night. The UW-Milwaukee Panthers dropped a 54-52 decision to conference co-leader Northern Kentucky. The Panthers (13-14, 6-8 Horizon League) Jeremiah Bell missed a three-point attempt with three seconds to go that would have won it. Bryce Barnes had 13 points to lead the Panthers. In Dayton, Ohio, the Green Bay Phoenix fell to Horizon League co-leader Wright State 68-64. The Phoenix (10-17, 5-9 HL) took an 11-point lead with just under 11 minutes remaining, but the Raiders (19-7, 11-2 HL) responded with a 12-0 run to get back the momentum and the eventual win. Sandy Cohen had 21 points and 10 rebounds to lead the Phoenix in defeat. The Milwaukee Panthers tightened their belts defensively, holding Southern Illinois to 17 points in the second half, on the way to a 81-53 win in the first round of the Women’s Basketball Invitational at the Klotsche Center. Milwaukee shot 55.9% from the field, improving to 21-11. Steph Kostowicz had 16 points, 12 rebounds and four assists in the win. Freshman Lizzie Odegard and senior Jordyn Swan added 13 points and 11 rebounds each. The Salukis shot just 38.3% from the field, including 2 of 14 from beyond the arc. The Panthers return to action this weekend, facing the winner of Thursday night’s game between Campbell and St. Francis of Pennsylvania. 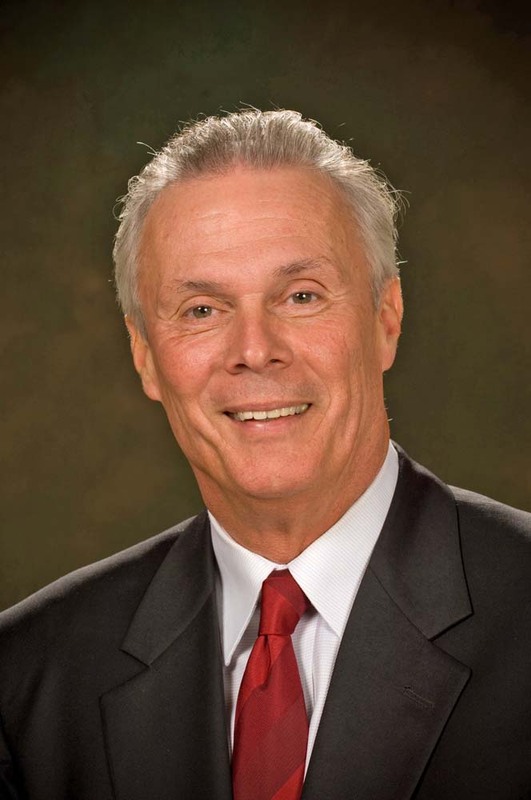 Former Wisconsin head men’s basketball coach Bo Ryan will take his place among the legends of college basketball this fall when he is inducted into the National Collegiate Basketball Hall of Fame. The Milwaukee Panthers Horizon League Tournament run ended in Tuesday nights championship game, falling 59-53 to Northern Kentucky. The Panthers entered the tournament with a 9-game losing streak but got hot at just the right time. Milwaukee (11-24) was trying to become the first team with more than 20 losses to qualify for the NCAA Tournament. This is just the fifth season for Northern Kentucky as a Division 1 program. The Norse advances to the NCAA Tournament for the first time. The future is bright for first year Panthers coach LaVall Jordan. Their starting lineup consisted of only one senior (Cody Wichmann). Milwaukee started two freshmen and a sophomore in their lineup. The Green Bay Phoenix women knocked off rival Milwaukee 66-59 on Monday at Joe Louis Arena, advancing to the Horizon League women’s title game against Detroit today. Sophomore guard Jen Wellnitz had 15 points, seven rebounds, six assists and four steals in 32 minutes to lead the Phoenix. 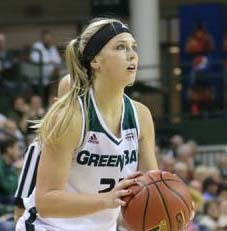 Teammate Jessica Lindstrom added 15 points and 12 rebounds for Green Bay. Steph Kostowicz had 16 points to lead the Panthers (20-11). The Phoenix (26-5) entered the tournament after winning their 19th straight regular season league title. They’re playing in their 7th straight Horizon League Championship game. Green Bay is 14-4 all-time in conference tournament title games. Today’s title game in Detroit tips off at 11 a.m. The Milwaukee Panthers entered the Horizon League Tournament in Detroit riding a nine game losing streak. They had lost 23 games and were the 10th and final seed in the Tournament with a 4-14 record. Three wins later and the upset minded Panthers are playing for the Horizon League Championship and a trip to the NCAA Tournament. Milwaukee knocked off the 6th-seeded UIC Flames 74-68 in last night’s semifinals in Detroit and will face Northern Kentucky in tonight’s 6 p.m. championship game. Post-season conference tournaments are a nightmare for regular season champions. Teams that earn regular season titles over the course of 16 or 18 conference games, get very little reward. They have to go prove themselves again in conference tournament action. Sometimes it works out and sometimes it doesn’t.